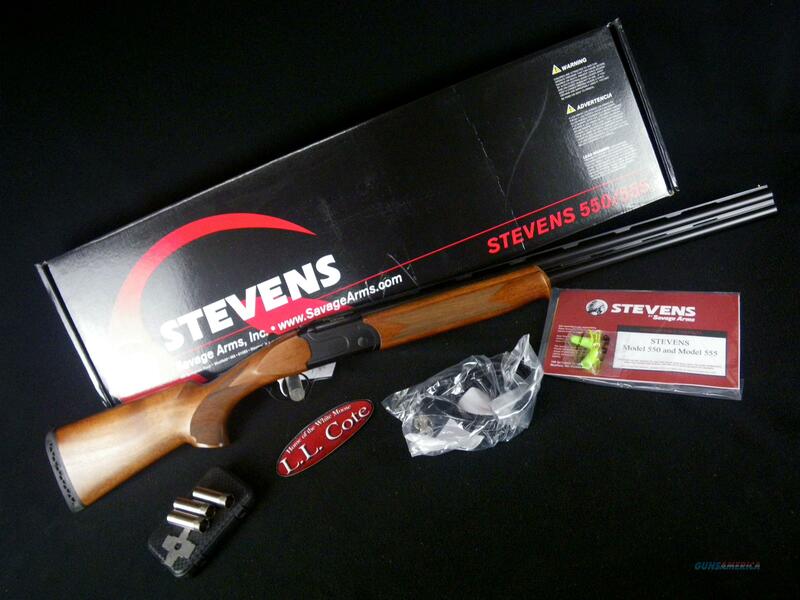 Description: You are bidding on a Savage Stevens 555 Compact in 20ga with a 24" barrel. Whether your passion is upland game or sporting clays, you'll enjoy it even more with a Savage Stevens 555 Compact. This superbly balanced, fast pointing over and under features a lightweight aluminum receiver with a steel insert to reinforce the breech, a single selective trigger and extractors. It includes 5 interchangeable choke tubes, and has a Turkish walnut stock and forend. Displayed images are stock photos. Any questions please feel free to ask (our phone number is in the additional information tab above).